Today we will look at another of my games from the Queenstown Tournament. Although it was a defeat for me, the resulting positions were worth analyzing. One part worth highlighting would be the endgame, where I ended up with two passed pawns faced against an enemy knight. Which, unfortunately, didn't end well for me. Steering the game into sharp, tactical territory. The alternative was 12... b6 13. b4 (Preventing Na4-Nc4. Black is in a very cramped position, so he needs to exchange off a couple of pieces.) 13... Bd6 14. Bxd6 Qxd6 15. a4 Nd7 16. a5 bxa5 17. bxa5 Rb8 18. Qa4 e5 and Black has a nice position, with plans to occupy the b and d files after the pawn break. Better was 16... Qc8 17. Qxa7 Bxb4 where my position is more solid. 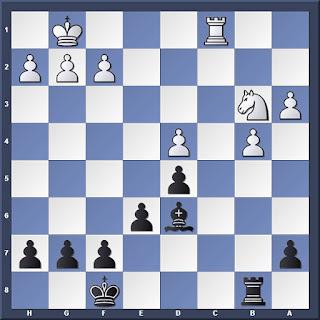 Black needs to exchange pieces to liquidate the dangers and free up his position. 20... Bxb4? 21. Rc7 and White is much better here. Always activate the king early to get an edge in the endgame. Here, White has a strong outpost on c5, but his isolated d4 pawn can become a potential weakness. 23. Nc5! White actually gains the edge here since his knight cannot be chased away. However that does not prevent Black from playing 23... Rc8 24. Kf1 Be7 followed by ... Bf6 attacking d4. 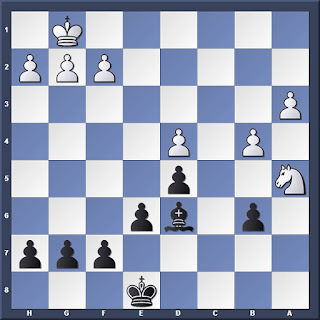 Once he gets his king to d6 there is also the option of the central break via ... e5. 24... Be7 25. Rc7 Bf6 26. 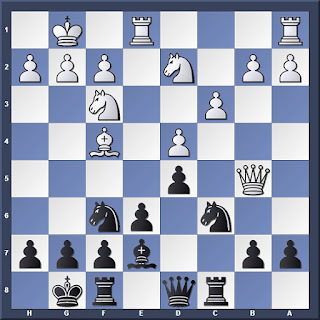 Rxa7 Bxd4 and it's a race between White's Queenside pawn majority and Black's central pawns. With the rooks off the board the advantage of my centralized king becomes more significant. Now Black is better. Throwing away my advantage! The correct move was 29... Be7! followed by 30... Bf6, and Black's double threats of capturing on d4 and invading via c4 will be too much for White to handle. Now White has one less weakness (the d4 pawn) to worry about. Trying to retain some advantage, I made a critical decision to simplify the position. Now we have a very interesting knight vs 2 passed pawns endgame. 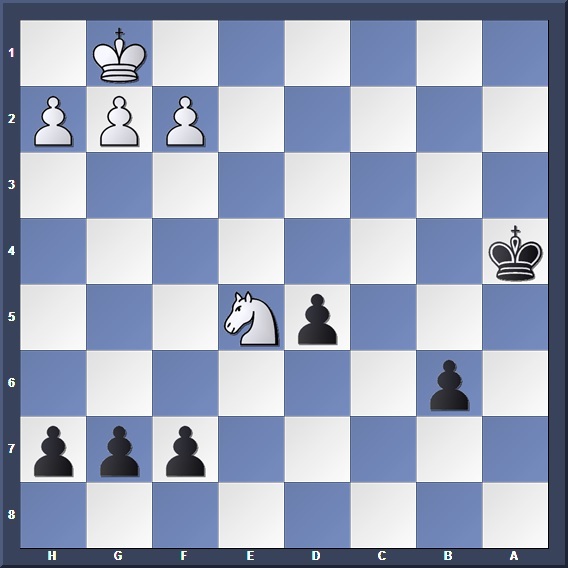 White will bring his king over to help his knight blockade both pawns. If Black wishes to win, close support by the king is crucial. 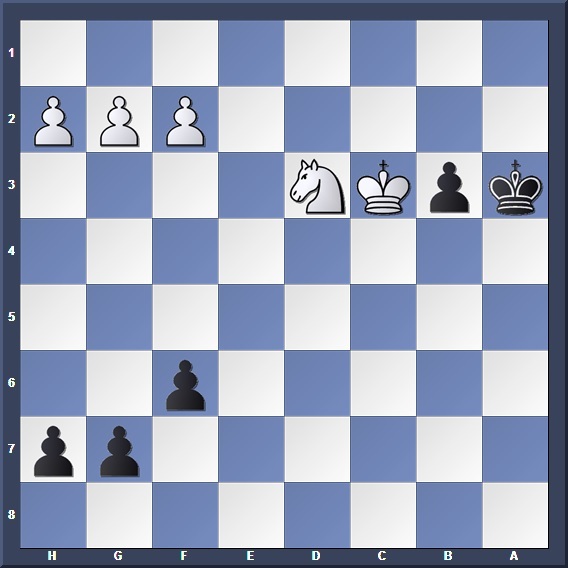 The trick is not to let your pawns advance too far without king support: 38... b4 39. Nd5+ Kc4 40. Nb6+ Kc3 41. Nd5+ Kc4 and White must force a draw by repetition to save himself. When in a cramped position, try to simplify by exchanging pieces. Activate the king early in the endgame. Watch for pawn weaknesses on both sides in the endgame and play them to your advantage. 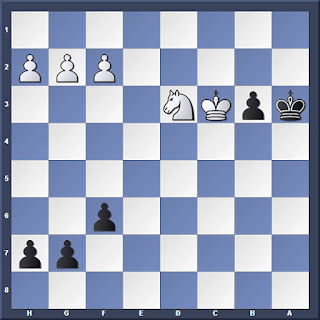 When advancing passed pawns in the endgame, king (and piece) support is important!